A young couple killed last week in their Bucks County home died of multiple stab wounds and their lifeless bodies were shot. The results of autopsies on Tyler Roy, 27, and his wife, Christina Roy, 28, who were slain April 30 in their Kitty Knight Drive home in Northampton Township, were announced Monday by prosecutors, the Associated Press reported. Mooney shot the couple with a rifle owned by Tyler Roy, according to reports. Philly.com reported that a viewing was planned for Tuesday night at St. Albert the Great Church in Huntingdon Valley. A funeral Mass Wednesday will be followed by burial at Resurrection Cemetery in Bensalem. 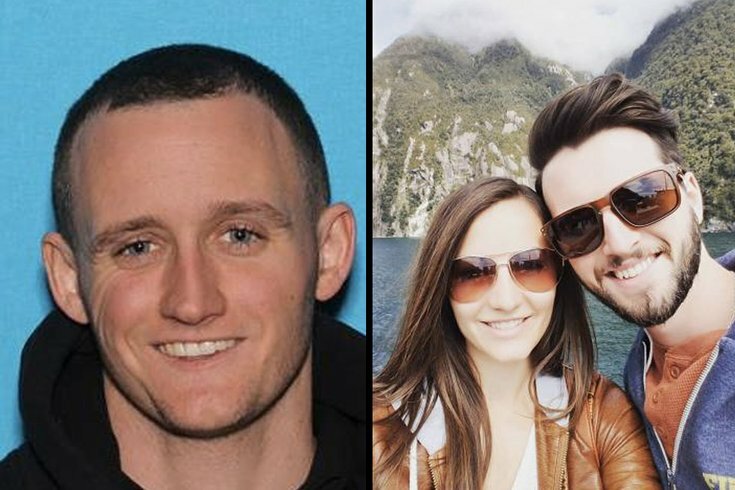 Authorities have yet to find a connection between the couple and their suspected killer, Daniel Kenneth Mooney, 26, the AP reported. Mooney, who reportedly struggled with addition to heroin, died of a drug overdose in Kensington on the day the bodies were found by a house painter. The painter was working at the home last Tuesday morning when he found the husband's body on the second floor and called police. Officers arriving on scene found the wife's body on the same floor, police said.